Buying a home is the biggest asset that you’ll seek to acquire in your lifetime that typically spans over 20 to 30 years. For many first time home buyers, the housing market and dealing with agents can be confusing, especially when it comes to understanding fees and charges, and wading your way through the contract before signing it. Dominion Finance want to help you make sense of the housing market by walking you through the do’s and don’ts of home buying so you’ll have a clearer vision of what you want in a home loan and just how you are going to achieve your goal of home ownership. Decrease your number of credit cards to one. Reduce your credit limit to $1,000. Pay off all other debts or consolidate loans. Open a separate ‘home loan’ savings account that has low fees and a higher interest rate. Create an automatic debit for your ‘home loan’ savings account from your wages. Create a weekly budget for yourself and stick to it. Work on saving at least 20% for your home loan deposit. This way you avoid costly Lender’s Mortgage Insurance (LMI). To calculate how much you can borrow, work out how much you can afford to repay on a home loan in a month, then use the borrowing power calculator. If you have several small personal loans then you either need to pay these out or consolidate them into the one loan, so that these are easier to manage. If you have several credit cards with more than a $1,000 limit, then you will need to reduce these to just one card, and decrease the limit to just $1,000. Well the more debt you have or the more access to debt, the lower the amount you can borrow and your chances of loan approval are reduced. You need to establish a savings plan for a deposit, if you don’t already have one. Well your lender wants to see a consistent saving history. This reassures them that you can manage home loan repayments and that you are a good risk. 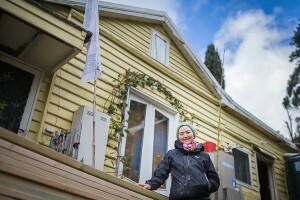 The first home owner’s grant (FHOG) is offered under Australian State Governments. This grant is an incentive that makes buying a home more affordable. FHOG values vary from state to state and are also dependent on the type of home that you are buying. In the ACT up to $12,500 (applies to new or substantially renovated properties). Once you have established a savings plan and budget, you will have a clearer picture of how much you can comfortably afford to spend on mortgage repayments per month. The amount should be affordable for you to repay. Allow for changes in interest rates, if variable. If rates rise you will pay more for your home loan, per month, and if the interest rate goes down, you’ll pay less. You should have a little residual income left over for these fluctuations in repayments. Leave yourself with some money to cover unforeseen home expenses, such as a new hot water service and other maintenance and repairs that could be required. The most important considerations to remember when looking at home loan options, such as the number of years you have the loan for, the interest rate you pay and how often you repay the loan, is that these aspects all dictate the total amount of interest that you will repay over the term of the loan. For instance, if you borrow $300,000 at 5.00% over 30 years you will repay $1,610.46 per month on a variable rate interest and principal loan, then the total interest that you will pay will be $279,765.60. However, if you cut 10-years from the repayment time on the same loan and borrow $300,000 at 5.00% over 20 years, the total interest that you pay drops to $175,168.80. Clarify that your home loan lender will allow you to repay more off your home loan than you are obligated to before taking out the loan as additional repayments will reduce the term of your loan and the total amount of interest you repay. Therefore, you can commit to longer loan terms, say 30 years, knowing that you have reduced your financial obligation. You will also have more residual cash and greater control over your finances. However, you can elect to reduce your loan term and the total amount of interest that you pay by paying more off your loan when you can. There is a loan for everyone out there and they have their pros and cons too. You need to match your circumstance to your loan options and make well-informed decisions. Before you go in search of a home, it can pay to get loan pre-approval. This then makes it easier for you to find a home that is within your budget. Plus, it can save you headaches and heartache, especially if you find a house you love, but then cannot get the finance approved. To get pre-approval for a loan, you firstly need to consider what loans are available and what options these give you. Most lenders will be able to offer you several different loan types, these will have various options and varying interest rates. There are also loans available for those who are self-employed, casually employed, contractors or investors. However, not all lenders will offer these types of loans. Before applying for a loan it is important to disclose your employment type, this will ensure you find a suitable loan for your circumstances. The first is the basic variable home loan, which has a changing interest rate, but does not include any additional features, such as a redraw facility. A redraw facility allows you to redraw any additional payments you have made on your loan when you need them. The second type is a standard variable home loan, which also has a changing interest rate, but it does include additional features. Often a basic variable home loan will cost you less than a standard, because it has less features. So you need to work out whether or not you prefer the features and will use them, or if you prefer to pay less. The interest rate for this loan is fixed over a specific term and does not change over this time. When you take out this type of home loan you will agree to a fixed term. This will be from 12 months to 5 years. This is a fixed rate loan for new borrowers that is also known as a honeymoon loan. The fixed term for this loan is usually 12 months. When the fixed term expires, the loan will revert to a standard variable rate home loan. This loan allows you to pay only the interest over the term of the loan, which is typically 5 years. You will then begin to pay off the principal when the loan term ends. At the end of the term, the loan reverts to a principal and interest loan and your repayments will increase.This can make it harder to make repayments. If you do not make extra repayments, then you are not paying anything off the principal of the loan. Therefore, interest remains high and is not reduced over the loan term. This is a common home loan, where the borrower will pay the interest incurred monthly and a portion of the principal. The amount of interest that is paid at the start of the loan is greater than the principal. However, as you near the end of your loan term you will pay more off the principal. Your cash flow is less, due to you having to pay more per month. This, in turn, may make it difficult for you to find capital in emergency situations. A loan for the building of a new home. This type of loan allows the borrower to draw payments during construction to pay for building costs. This loan requires less documentation to secure and is typically offered to self-employed borrowers, who may have to rely on business financial statements as proof of income. An agreed sum is deposited into an account by the lender, which then gives the borrower access to funds as they need these. A loan establishment fee that is charged by a lender. These vary from lender to lender and typically cost between $300 and $1,000. Though some lenders will waiver these fees. This is a government fee that is charged by your lender for the conduct of a property search. Fees vary depending on the state that the title is held in and on the type of property. Typically, fees range from $25 to $250. This is a government tax charge, which is incurred at the time of sale. This fee varies from state-to-state depending on whether a property is purchased to live in or as an investment, with the rate calculated as a percentage of the purchase price of the property. Therefore, the greater the home’s value, the greater the stamp duty. However, not all states charge this tax. A legal service fee that is charged at the time of property settlement. A conveyancer is a property solicitor that makes sure all utility charges and other costs associated with home title transfer are accurate and correct at the time of sale. The fee charged for a conveyancer’s service is typically more than $300 and less than $1,800. An insurance policy that covers the lender for loan repayment default. This insurance is mandatory if the lender lends more than 80% of the property price to a borrower. The fee charged is typically a percentage of the loaned amount. For example, if you want to borrow $255,000 to purchase a $300,000 property, mortgage lender’s insurance will cost you between $2,200 to $6,440, depending on the lender you are borrowing the funds from. A government fee charged to transfer the title of a property into another person’s name. Transfer fees vary in each state, and can range from $130 to $2,250. A government charge to register a mortgage in the new property owner’s name. Mortgage registration fees vary in each state, and can range from approximately $100 to $200. For more information, visit the website of the revenue office in your state or territory as shown in our earlier table in the ‘How can the Government help’ section. A good broker can provide you with a wide selection of home loan products. Brokers typically represent a variety of lenders. This includes banks, credit unions and building societies. A broker can compare home loans for you which can reduce your research time and help you find the most affordable loan. Most brokers don’t charge you a fee for their service as they are paid by a lender when they sign you up for a loan. Brokers will generally assist with paperwork, including assisting with government grants and dealing with lenders. Not all brokers are created equally. Some brokers are with a registered brokerage group, others are not. Some brokers will have qualifications and credentials, others will not. Before using their services, you should ask about their qualifications and credentials, and if they are with a registered body. Not all brokers have the same amount of experience. Always check the number of years a broker has been practicing for. Some brokers are biased. Brokers are paid a commission by a lender when they secure a loan. Some lenders pay more than others, so this may influence a broker when they give you advice on which loan to choose. To avoid this, ask a broker about their commissions upfront and ask if they can include these when they give you recommendations. Some brokers don’t have many lenders on their panel. Before dealing with them, you should first clarify how many lenders they represent. We all want something a little better or just out of our reach. But, when you’re buying your first home sticking to your budget makes repayments affordable. You won’t stretch your financial resources, and if interest rates change you won’t feel as financially stressed. A home is an asset. If you buy right, then over time, your home value should increase. When you are looking to buy you should leave your emotions at the door and think of buying a home as a business transaction. Buy at the lowest possible price so that your return on investment is higher over the years of ownership. Give nothing away, otherwise a real estate agent will use this to their advantage when negotiating a price. If negotiation doesn’t go as planned and the vendor (seller) doesn’t accept your offer, then remember that there are plenty of other homes on the market and that there is an ideal house out there for you. Before you buy, always research the market. Look at locations. Compare home values and features. Consider infrastructure, such as schools, hospitals and transport. Look at what other homes have sold for in your chosen locations. The more you know, the more you will save in time and money. Plus, you’ll find it easier to negotiate and find yourself a ‘good’ buy. Compare mortgages before selecting a lender. Look at what banks and other lenders have to offer, compare packages. Look at loan features, fees and interest rates. Then use a broker to find you the best mortgage that matches you and your circumstances. This will save you a great deal of expense in the long run. Finding the right home takes time and patience. Don’t be in a rush to buy. Poor decisions are costly. Instead, take your time, research the market and know what you’re looking for. When you find a suitable home, make sure it is in a good location and that it is sound. Look for faults in the buildings structure, electrics and plumbing and for possible signs of white ants. Then have the home inspected before you buy. Always put ‘subject to finance’ in your contract, even if you have home loan pre-approval. This is due to the fact that pre-approval is not final or formal approval, as your lender will need to have the property you’re seeking to buy valued, before they will give you final approval for a home loan. By putting ‘subject to finance’ in your contract you are protecting yourself financially, so if you do not find finance within an allocated timeframe then the contract will become null and void. This then allows you to avoid costly finance. If the home needs to be inspected, then you’ll need to add a clause that states, ‘subject to a building and pest inspection’. Inserting this clause means that if the home is unsound or has white ants (pests) then you can get out of the contract. Failing to have these inspections carried out can be costly. It also pays to remember that contracts typically have a 3 to 7 day cooling off period. During this time, you can change your mind and discontinue with the purchase. The purchase price of a home is not the only cost that you need to consider when buying a home. Other associated costs include stamp duty, council rates, water and sewer fees, valuation, title searches and transfers, as well as conveyancing fees. These costs add up quickly and, in many cases, can add thousands to the price of a home. Therefore, before you buy, work out what these additional costs will be and include these in the amount you can afford to borrow. Building and pest inspections are a must. Yes, they cost money, but the hundreds of dollars that you may spend will seem minimal when compared to the thousands in repair bills if you buy an unsound home.